The first piece of software I ever reviewed for ROM was Picture Publisher 5, so it seemed logical that I try the latest version 10. It has only been a year since the previous version was released, and the previous versions have not been that dissimilar. When I first installed the program it looked exactly the same, down to the same icon. Interestingly it should be noted that Micrografx has been bought by Corel. Whether the Corel Draw Suite which I reviewed early goes into direct competition with Picture Publisher remains to be seen, but PP10 (as I will call it from now on) only runs on PCs, whereas Corel Graphics Suite also runs on a Mac. The program is aimed at Web designers primarily, although there are two versions of the program available, the Professional Edition, and the Digital Camera Edition. I had the first version, which has several features not included in the cheaper Camera Edition, but the interface is the same for both. The new features in PP10 include customisable gradients and effects, full CMYK support, the bevel factory and web optimisation functions, including slideshows and image slicing. 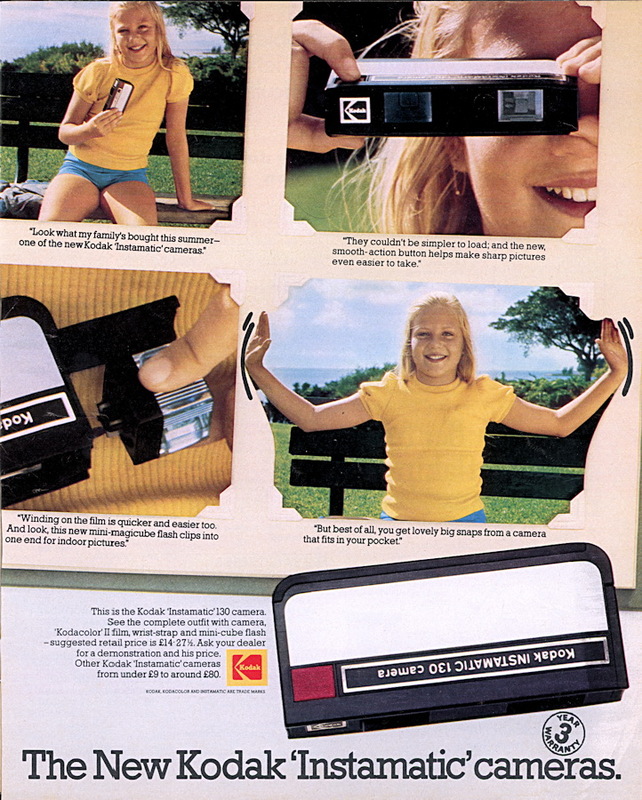 Some of these are included in the Camera Edition. The two additional CD-ROMs contain additional material, including 5500 licence free pictures, 500 web textures, some 40 web page templates, and interactive wizards and tutorials. One of the new features is text on a curve capabilities. Creating text on a curve is simply a matter of adjusting the Bezier curve after you have added the text. As with some other features there is no preview for this until you have set the curve. PP10 has added image slicing capabilities that enable you to slice an image and give each region of the sliced image unique attributes such as URLs, Alt text, file names and file type and quality. This is exactly the same as the feature in Corel Photo-Paint, so it would interesting to know who thought if it first. This feature gives complete control over the optimisation of an image to place on a web page, altering its file size, quality (based on modem speed, colour depth, file type), but not the dimensions of the image itself. Even with the Smart Optimizer, where you input the file type and size and the program generates an image that most closely reaches the parameters that you specify, you have to resize the picture before running this option. The other additions and enhancements are mainly in the effects department. Particle Studio produces fire effects similar in style to Alien Skin Eye Candy 4000, a popular Photo-Shop plugin. A number of presets are included, or you can tweak the sliders before setting the flames in motion - literally. When you click on OK you freeze the flame effect and it applied to the image. Unfortunately I could not get the results I wanted from this effect. Other effects include the Aperture function, which keeps an area of your picture in focus, and blurs the rest, simulating the f-stops on a camera. Lightning add a variety of different types of lighting bolts to your picture, which is of limited used, despite the vast amount of controls it uses. The Bevel Factory is a joy to use, as it offers much better control than the Paint Shop Pro frames feature. You can change the texture, width, or colour of the frame, and apply coloured light to the frame as well. You can even add the Light Studio effect automatically after the frame is added. There are several other effects too numerous to mention, but examples of a few are shown below. 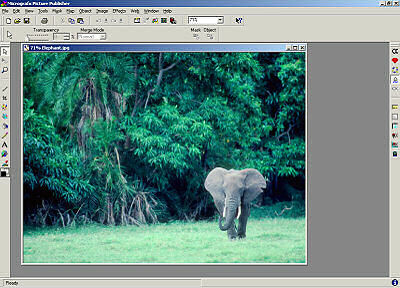 This additional program helps you organize and catalog your images. Similar to ACDSee or the picture preview in Windows XP, this program lets you view your images in thumbnail form, with batch file facilities to rename, move, rotate, or get detailed information from the files. The HTML slideshow guides you through a wizard to create a gallery that doesn't use frames, although the resulting web pages lack any design flair and budding web artists will no doubt want to tweak the HTML code. The multimedia slide show produces a executable, with options for recorded introduction and end message for the slide show. You can add background music, but can only select wav, mid or rmi files (no option for mp3). When I added a wav file, my slide show program was 19Mb in size, using only six jpg files. The original wav file was 39Mb, so it did reduce in size, but it would have been a much more useable file size if mp3 files were supported. I couldn't play the slide show as the program displayed an error about unable to find a temp file, and labelled MMPLAYER. Creating a show without music brought the file size down to 600k, and during the slide show you can save the pictures, but only as a bitmap. This executable can also be set to be your screen saver. This feature gives the impression that it has not been written recently (even though the copyright is 2001), and has certainly not been testing on Windows 2000 or XP. There is no option settings, and the burn to CD feature was disabled, so I was unable to test that. Saving and loading files is still the same, with the thumbnail view set as toggle. Even though you can load vector graphic files, such as Window metafiles (WMF), Encapsulated postscript (EPS), CorelDraw clipart (CMX) and Micrografx Designer files (DSF), you cannot save in any of these formats. No vector drawing formats at all, which is a shame. You cannot resize your line drawn 'objects', PP10 terminology for layers, as you can with Paint Shop Pro or Corel Draw. The additional effects work well, as do most of the web optimisation features, but the PhotoAlbum needs some serious work to bring it up to date. Having been used to the way other graphic programs work, it was a little difficult going back to PP10, searching for the effects and functions in the menus. It is true that the program has not seen much change since version 5, and the features that are not in the Digital Camera Edition are the ones that you want.